Phew! Thanks to the assistance of the fab techy crew at Illicit Web Design my online booking enquiry form and general enquiry form are now working. As I mentioned in my previous post, if you had contacted me via either of these two forms from the end of February – mid March and have not received an email reply it is entirely possible that I didn’t receive your enquiry. If this is the case, please do contact me again and I will try my utmost to be of assistance to you. Ps. 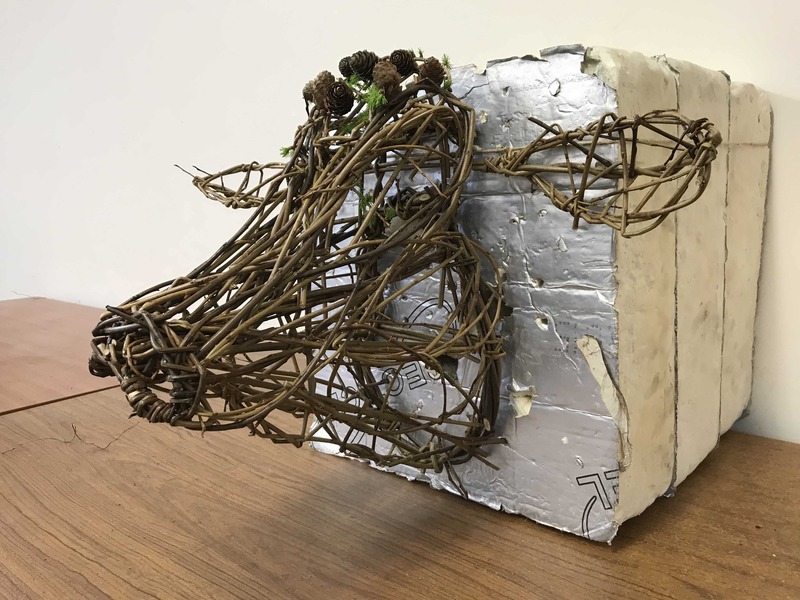 The featured photo is of an amazing willow cow head that was created at last week’s Willow Animal Sculpture Day by the very talented Naomi. Naomi had previous experience of weaving in willow, and this shows in her incredible creation!